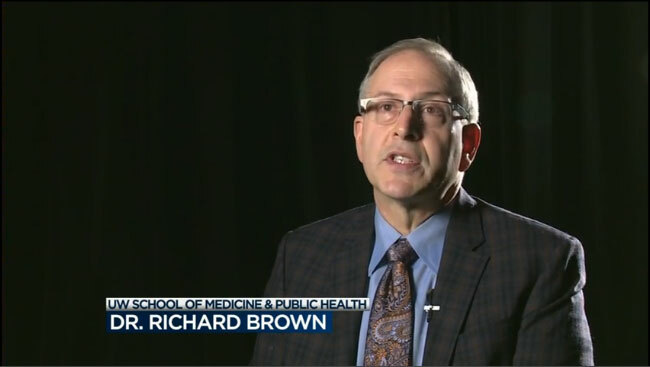 The DFMCH’s Richard Brown, MD, MPH, was featured in a recent WISC-TV3 profile of a new UW School of Medicine and Public Health online course focused on identifying and reducing addiction. The course focuses on the targeted use of prescription pain medication, which is often the pathway to heroin addiction, but it also teaches students about alcohol addiction. This semester, 600 students, including future physicians, nurses, pharmacists, psychologists and social workers are taking the course, which allows for a team approach that’s critical for identifying and treating addiction. “We recognize the need now to train practitioners not only to make better decisions about initiating prescriptions but also on following patients to make sure that treatment is actually right for them,” said Dr. Richard Brown, a professor of family medicine and community health.